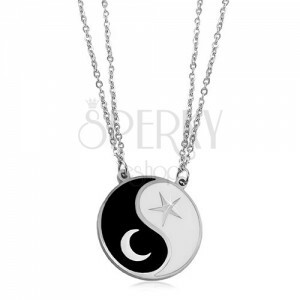 316L steel necklace, double chain of oval rings, circular pendant - balance symbol Jin and Jang, a moon and a star. 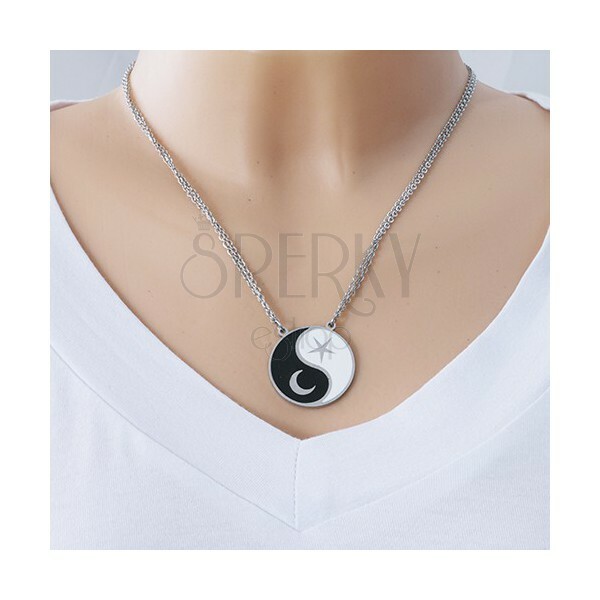 Stainless steel necklace has silver colour and consists of a double chain with upright connected oval rings. 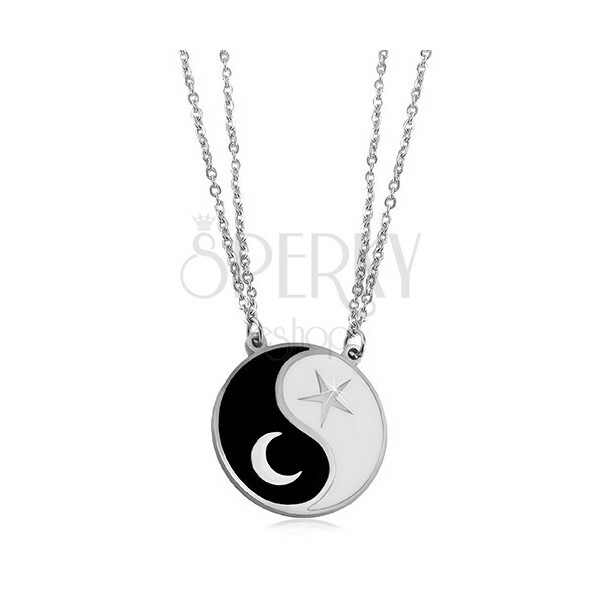 On the chain is looped on two eyes a circular pendant in the shape of the balance symbol Jin and Jang. On the black part is an image of a moon crescent, on the white part is pictured a five-pointed star. The necklace has an adjustable length and a lobster clasp.